Hands down the best vegetarian enchiladas ever. 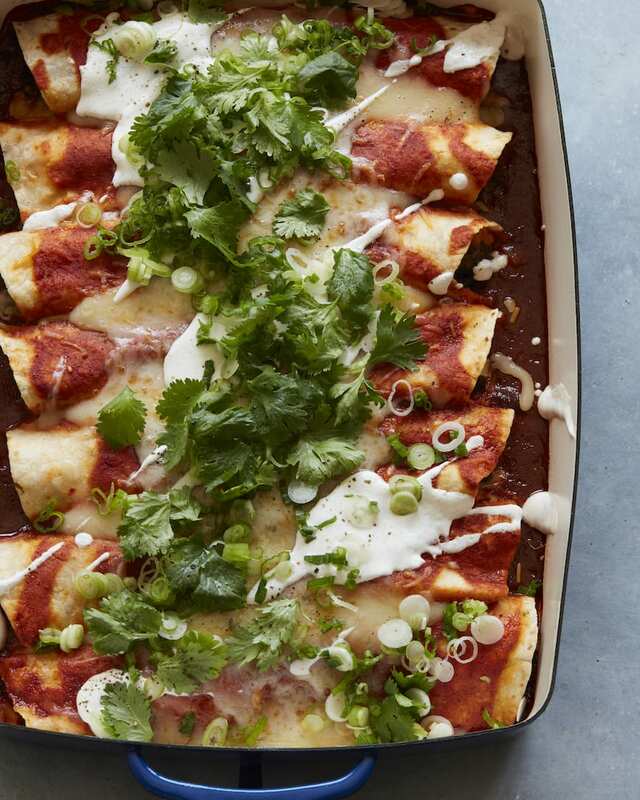 Say hello to these Sweet Potato, Kale and Black Bean Enchiladas! Okay let’s get one thing out of the way up front… I’m a die hard enchilada fan but I MUCH prefer them with flour tortillas. They are more pliable and I love their texture once they bake down a bit. I know thats sacrilegious to some, so feel free to use corn if that’s more your jam. I’ve done it before here and I have to admit they are delicious. I’m just a flour kinda girl. Okay… now that we’ve got that out of the way let’s talk about these babies! I’m having a moment with all things Sweet Potatoes, Kale and Black Beans. 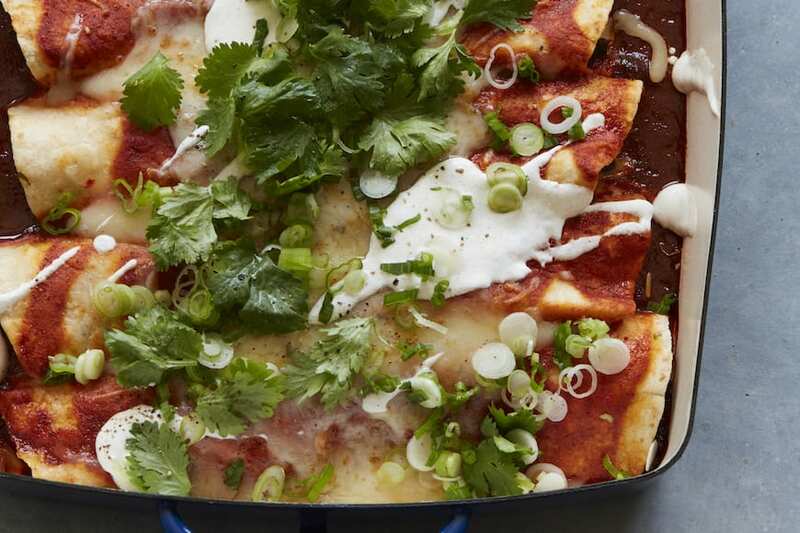 They all just work so well together, and I thought why not stuff them into some enchiladas, smother them with enchilada sauce, cheese and a chipotle crema. Match made in heaven. These are going to be on repeat for the fall months and I know you guys are going to love them! In a large skillet, heat the olive oil over medium high heat. Once hot, add the onions and saute for 5-7 minutes until soft. Add the kale and cook down until wilted. Add the diced green chiles, cumin, garlic powder and red pepper flakes and stir to combine. Season with salt as needed. Add the black beans into the mixture along with ½ cup of the enchilada sauce. Stir to combine and remove from heat. To assemble the enchiladas, set up an assembly line including: tortillas, enchilada sauce, veggie mixture, mashed sweet potatoes, cheese and green onions. Lay out the tortillas on a flat surface and spoon 1 tablespoon of the mashed sweet potatoes in a line down the center of the tortilla. Add equal amounts of the veggie and onion mixture, pepper jack cheese, and 1 tablespoon of green onions each. Pour another ½ cup of the enchilada sauce in the bottom of a 9x13 baking dish. Place the rolled up tortillas in the dish. Spread the remaining enchilada sauce on top of the tortillas, and sprinkle on the remaining shredded cheese. Bake uncovered for 20-25 minutes. 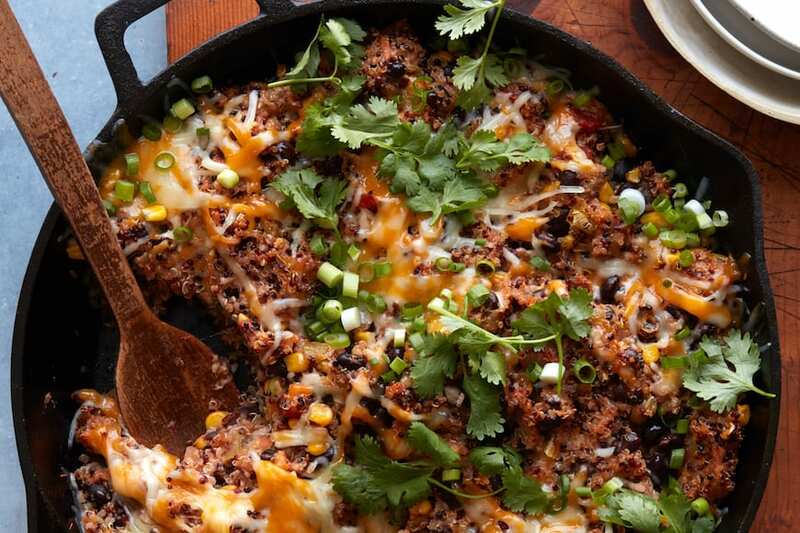 Remove from oven and serve immediately, garnished with the remaining green onions, cilantro and a drizzle of cumin crema. 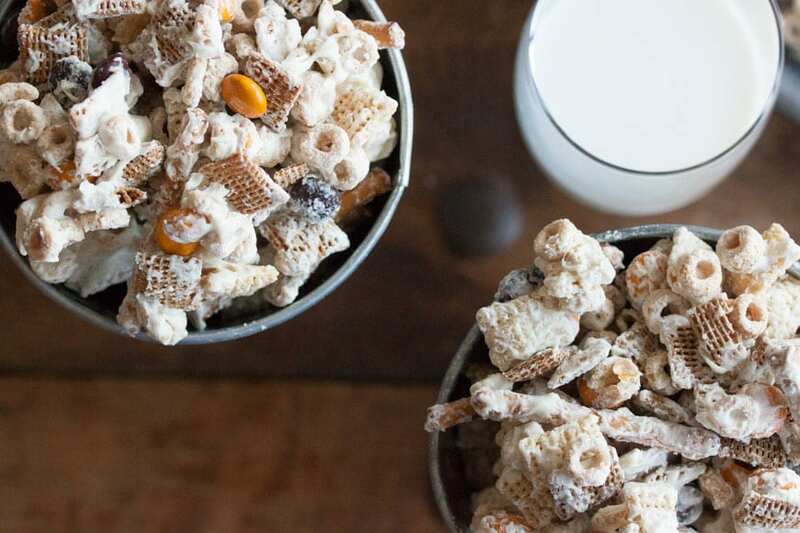 This is the perfect fall combination. 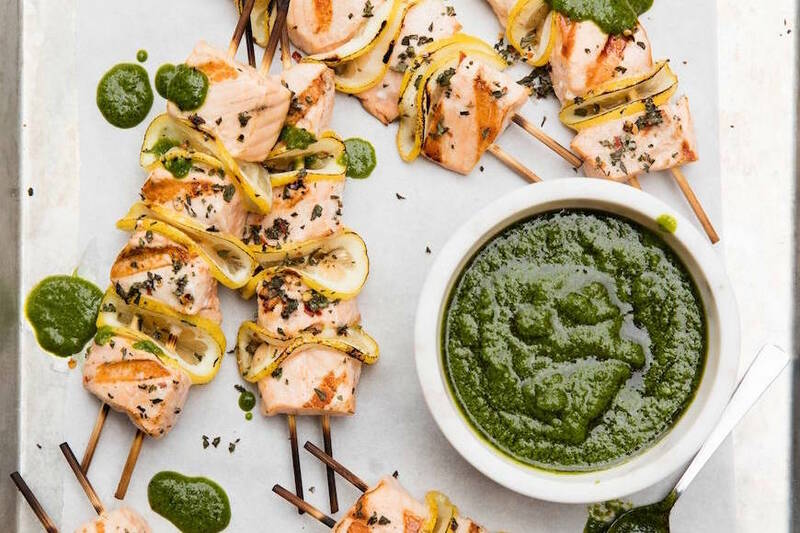 Even for non-vegetarians (me), this looks INCREDIBLE! Love all of the bold flavor you’ve packed in! I expected this to be good – it is DELICIOUS! Keeping this one in cue to make in the future. Thanks, Gaby! Mmmm. I have loads of kale in the garden, and this will be perfect for the changing season. Need to try these gluten free – will get corn tortillas. Recipe looks really good! Do you have an idea of what are the calories? An estimate is fine. Thanks! I’m making these tonight!! For the mashed sweet potatoes, did you just cook the sweet potatoes in advance? Anything in the mashed sweet potatoes? Or just seasoned with salt and pepper? Made these tonight using GF tortillas and Frozen Mashed Sweet Potaoes (such a timesaver) from Trader Joes and it was delicious!!! My kids gobbled them up too. Thanks Gaby! Thanks made this tonight and it was delicious! Thanks for another great recipe! Making these tonight! Any specific type of kale?